Is there a single book which covers all topics for IAS exam (Prelims and Mains)? “Is there a single book which covers all topics for IAS exam (Prelims and Mains)?”. We get this query often from our readers. 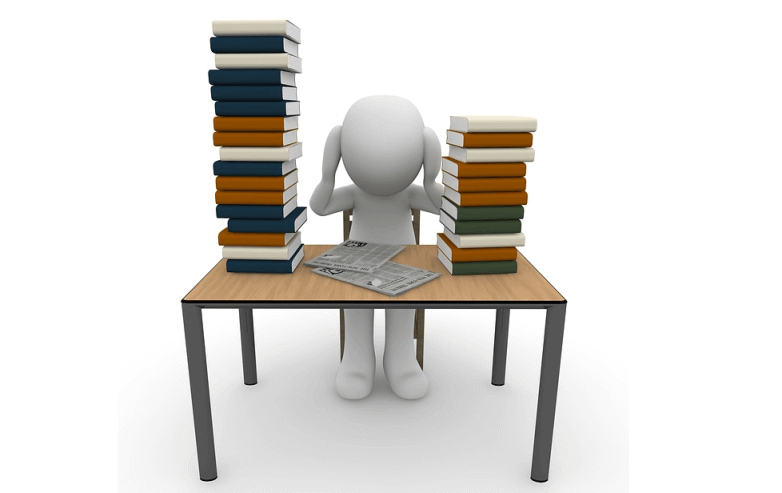 Nothing wrong which such a line of thinking – as there are hundreds of books in the market for each specific area in the UPSC syllabus for Civil Services Exam, enough to confuse all beginners. But is there such a book which covers all topics for IAS exam Prelims and Mains? No. Unfortunately or fortunately – no. IAS exam is not like school or college exams, and there is no such all-in-one book which covers all possible questions in UPSC CSE. Considering the vast UPSC syllabus, even if any publisher releases such a book, you can imagine how big and bulky it would be. Still, if an author creates a 10000-page all-in-one book, don’t you think that UPSC can frame questions outside the scope of the same? Yes, they can. Yes. We can. As a beginner, what you need is proper direction. That’s why we always recommend a mix of three essential items – (1) ClearIAS mock exams (which include previous year questions), (2) ClearIAS study materials (which are easy-to-learn and free), and (3) good books. In this post, we shall suggest some good guides and manuals (apart from textbooks) from leading publishers, which you should not miss. Though not a replacement of authentic textbooks, Civil Services Exam manuals can sometimes be very handy – for beginners and veterans. For beginners who don’t know what to study and what not, these manuals give a proper direction and thus help save time. For veterans, these books are quick-revision materials. 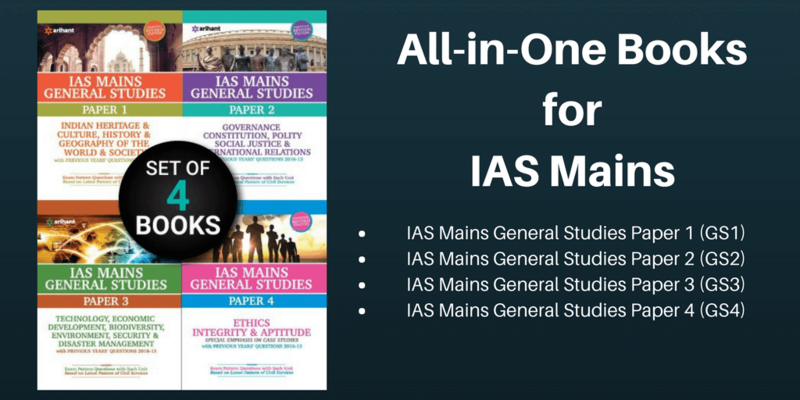 All-in-one manuals are prepared solely with IAS exam syllabus in focus. Also, these are less expensive considering the cost of purchasing numerous different books. 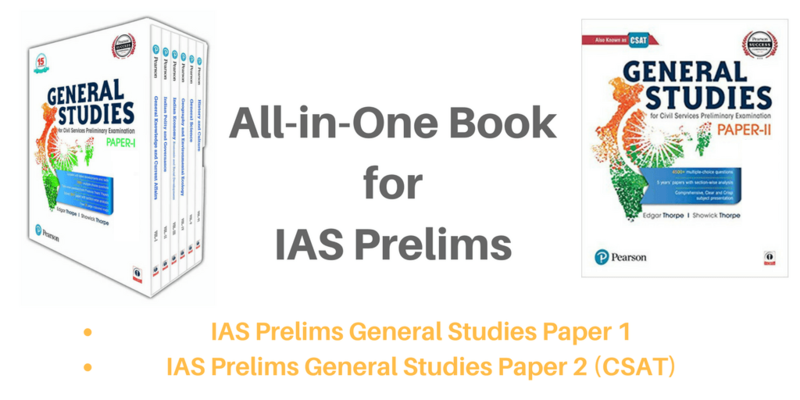 General Studies for Civil Services Preliminary Examination Paper I by Pearson (combo of 6 books) is a good choice if you are looking for an all-in-one-manual for IAS prelims. This is a set of 6 books, each book in separate binding, which makes it handy. You can buy online English Edition or Hindi Edition. For Prelims CS Paper 2 (CSAT), you may go for General Studies for Civil Services Preliminary Examination Paper 2 by Pearson. There are similar manuals by many other leading publishers like McGraw Hill Education, Arihant etc. as well. See some of the popular options. Note: Just buy one book each for GS Paper 1 and GS Paper 2. How helpful are the above-discussed manuals and guides? The manuals and guides can neither completely replace the authoritative textbooks nor assure you 100% of all questions. But these guides can serve as a good starting point for beginners and quick-revision material for veterans. If you go through these books, you will get all the basic essentials needed for cracking IAS exam. Once you are on the proper-track, we recommend you read as many books from the recommended list of books for IAS preparation, based on the recommendation of toppers. This list includes many books like Laxmikanth for India Polity, Bipan Chandra for Indian History etc. For updating current affairs topics, you may also need to reference books like Economic Survey, India Year Book, Yojana, Kurukshetra etc. Last but not least, only when you start taking ClearIAS mock exams along with your regular learning, you can ensure that you are on right track. All the best! From market you can purchase all the ncert books (6-12). Go though page by page from 6-10 and you have to do selective study from 11-12.
sir i am so glad and excited to go through the clearias app.coaching fees are expensive and this app will help me get through thank you sir and.i believe it covers all the two stages of examination papers prelims mains viva. hi, i am 30th aug 1989 born, can i appear for exam in 2020.
what is the age limit for Civil services exam. my date of birth is 30th aug 1989.
can i attempt for 2020 IAS exam. can i prepare in 4 months. Sir I am Suman kr. Das, from West Bengal, District of Bankura, I am confused about the books that’s provided by you. Please mention the total prices of books for Prili+Main+Interview (with included ncert books and previous year question papers) asap as I am ready to prepare.